The reliably innovative and earnest Seeing Place Theater company begins its sixth season with a modern take on a Shakespearean classic. Written at a time of growing global markets, bursting urbanization, and an influx of immigrants into London’s commercial hub, Othello is Shakespeare’s race play. Othello is a Moorish (historically Muslim) general in the Venetian army whose recent successes attract the envy of Iago, a fellow soldier. Iago hatches a malicious and complicated plan to ensure Othello’s downfall, manipulating not only Othello’s military reputation but also his recent secret marriage to Desdemona, a senator’s daughter. I came to this production with criminally little knowledge about Othello. A co-worker once gave me the run-down of the plot a few years ago. 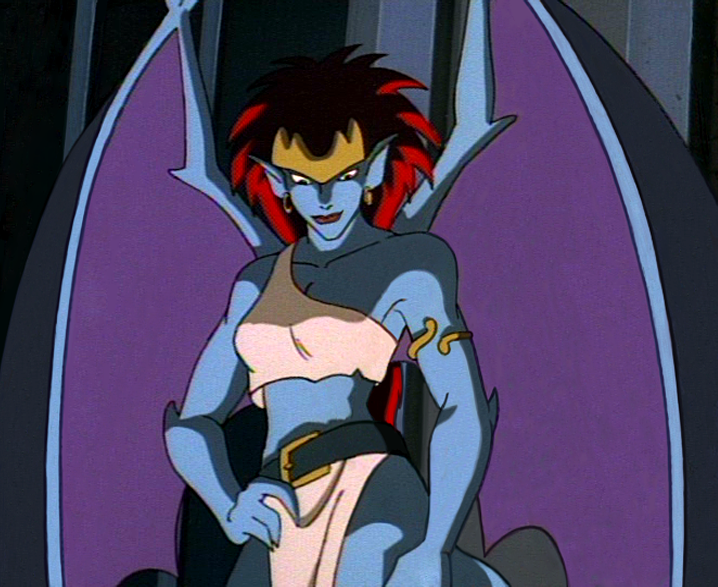 Plus, I knew that Desdemona on Gargoyles got her name from the play. I was worried that the production would go right over my head and I’d be in for nearly three hours of mindless observation. I generally don’t understand Shakespeare unless I have read the plays before, and this fact did not bode well for my night. However, I am happy to report that Othello was extremely accessible and quite accommodating to the new viewer and Shakespeare fanatic alike. Barring some of the military plot twists (and who really pays much attention to those anyways? ), I was able to comprehend near everything in the play and leave satisfied with having digested the play’s nuances and complexities. Much of this credit is attributable to the production’s cast. 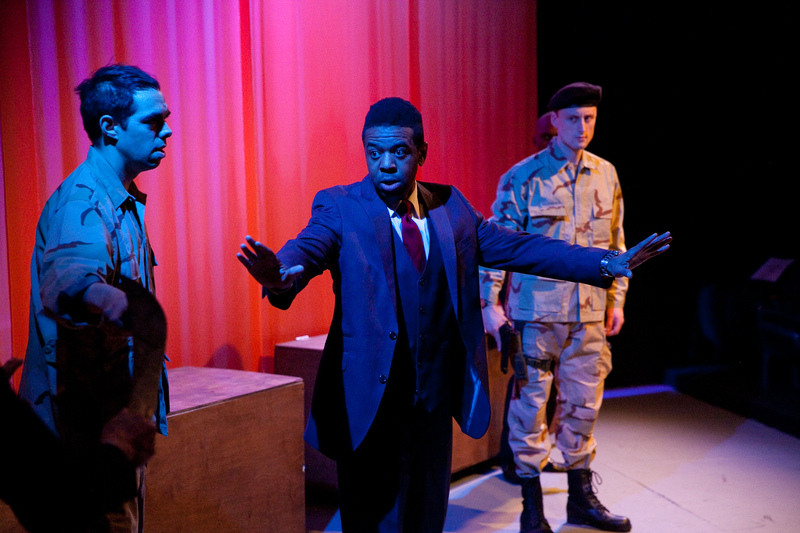 Ian Moses Eaton gives a tremendous portrayal of Othello’s descent into paranoia, extremism, and jealousy. The gentlemanly and stalwart leader of the play’s start is crippled emotionally and physically into a crippled and confused villain. Company founders Erin Cronican and Brandon Walker also contribute greatly to the production’s energy. Cronican is a naturally sympathetic Desdemona. Her presence onstage edifies the scenes around her with genuine sincerity. Walker takes on Iago with slick relish. His monologues felt a bit rushed at times (I caught up on the schemes I missed in the later scenes) but he works extremely well with his dialogue. His undercover Iago is humble and non-suspect. If you blink and miss the sinister glint in his eye, you’d immediately overlook him. I felt like the strongest scene of the production takes place with Othello and Iago at their desks, filing paperwork. It is in this banal, almost domestic setting that Iago plants the first seeds of doubt into Othello’s mindful poise, and watching the scene evolve was a thrill. As the plot grew increasingly complicated, the production required extra support and structure to see itself through unscathed. The larger scenes were often chaotic and unfocused. Minor characters and extras were underused in scenes with large groups and some of the background activity was directionless or hastily improvised. Strategic staging in such scenes could have also ameliorated some of the scenes’ confusion, as well as add to the emotional punch of the play’s final deadly minutes. Overall, however, the Othello experience was satisfying one, and I am excited to see what else lies in store for this exciting company’s new season. 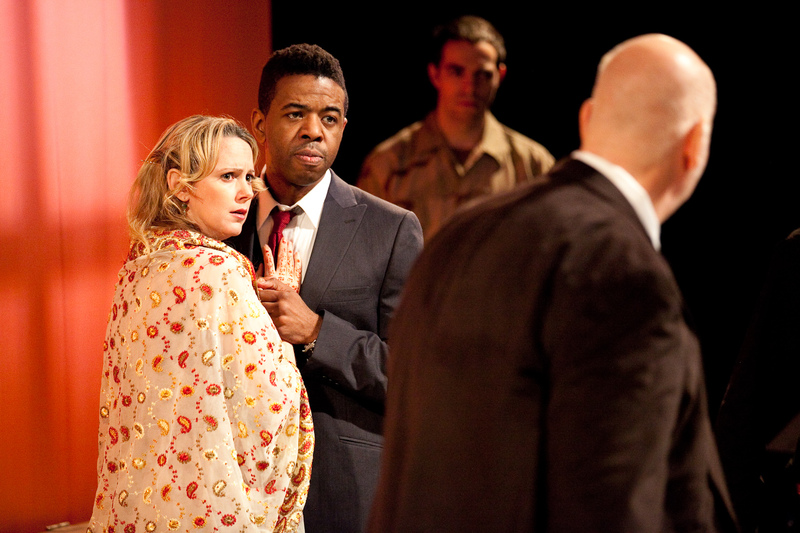 Othello plays at The Clarion Theater through March 15. $15 Tickets available here.